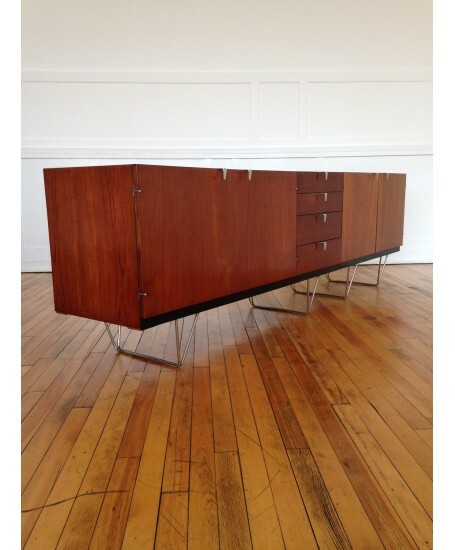 A real British mid-century classic. 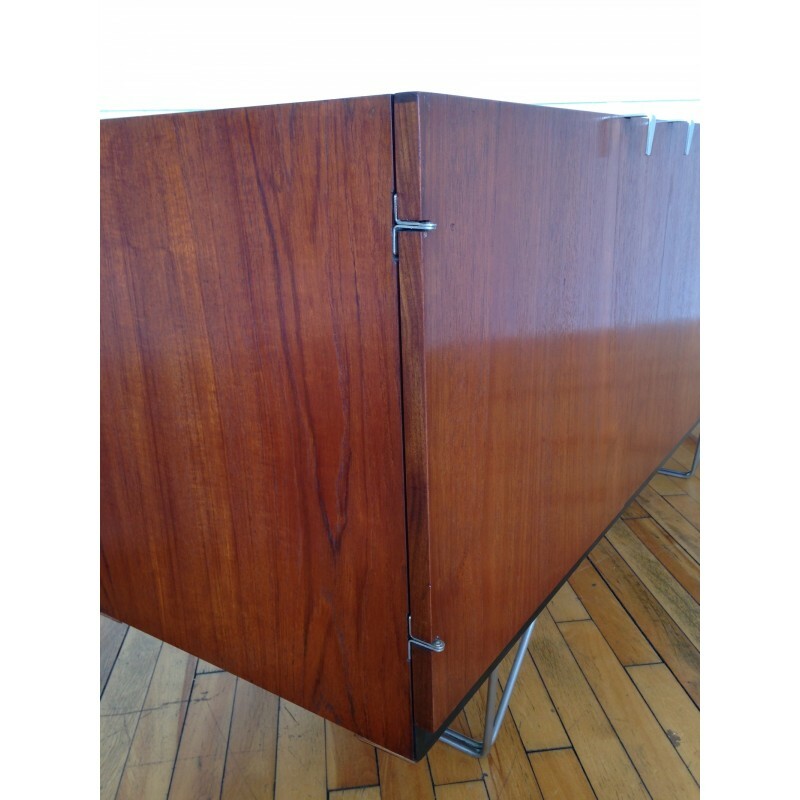 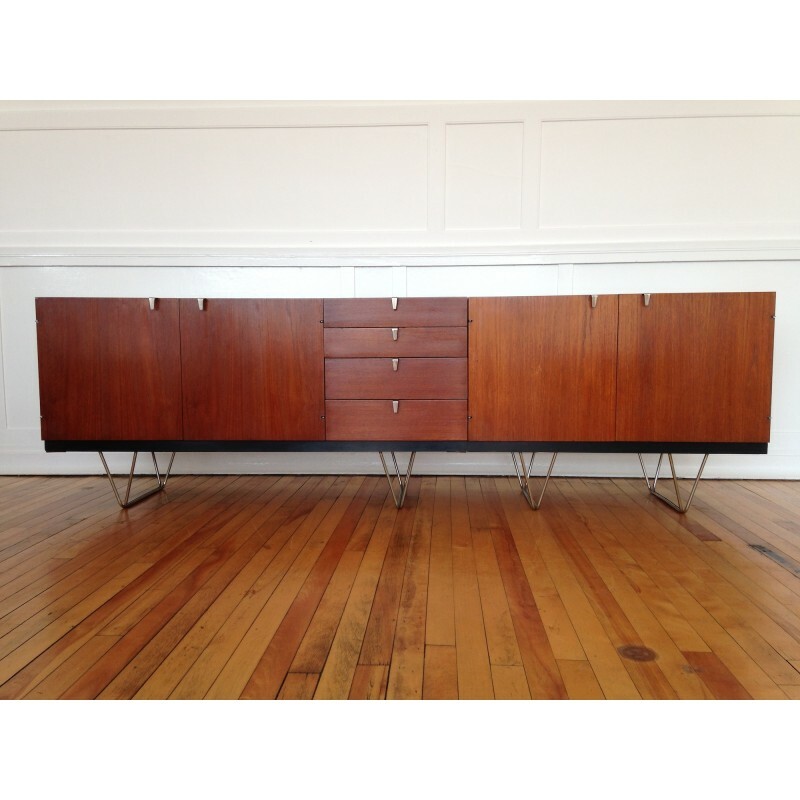 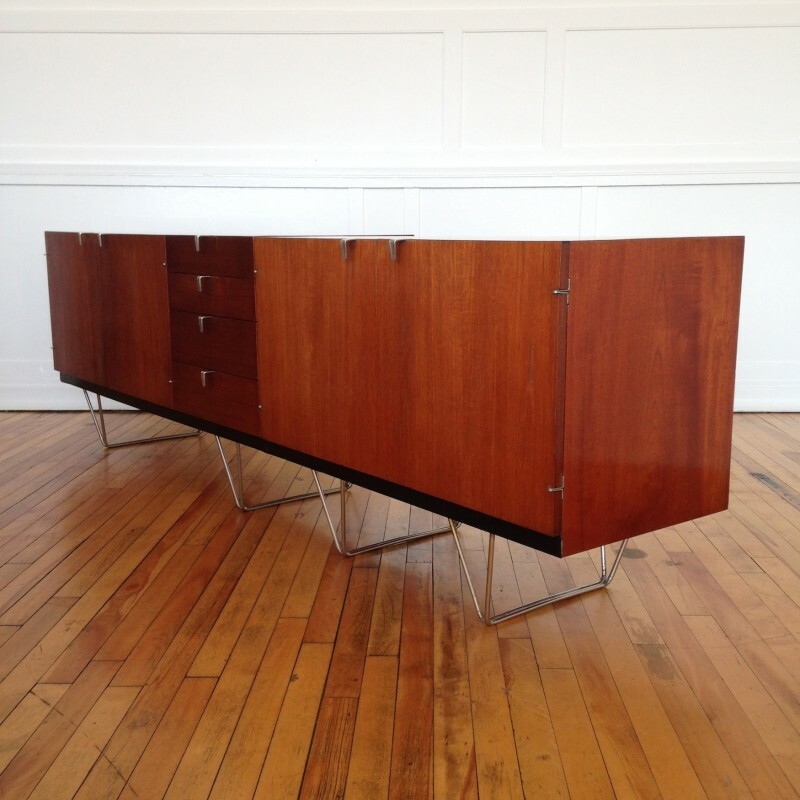 This stylish sideboard and matching cabinet were designed by John & Sylvia Reid for Stag Furniture. 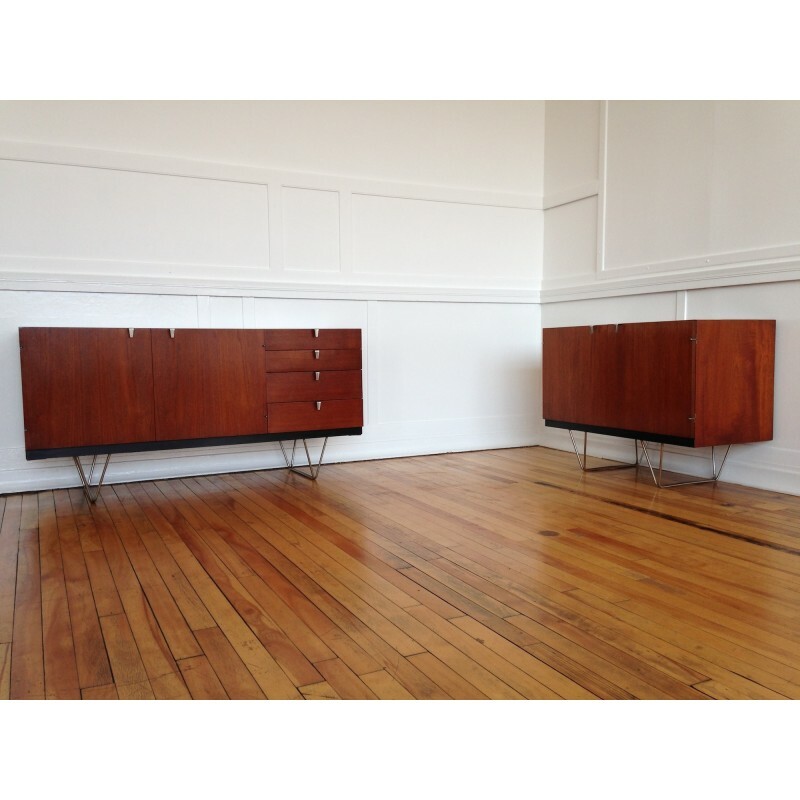 Only produced for three years between 1960 and 1963 (production discontinued due to lack of commercial success), they are extremely rare and unsurprisingly, highly sought after. 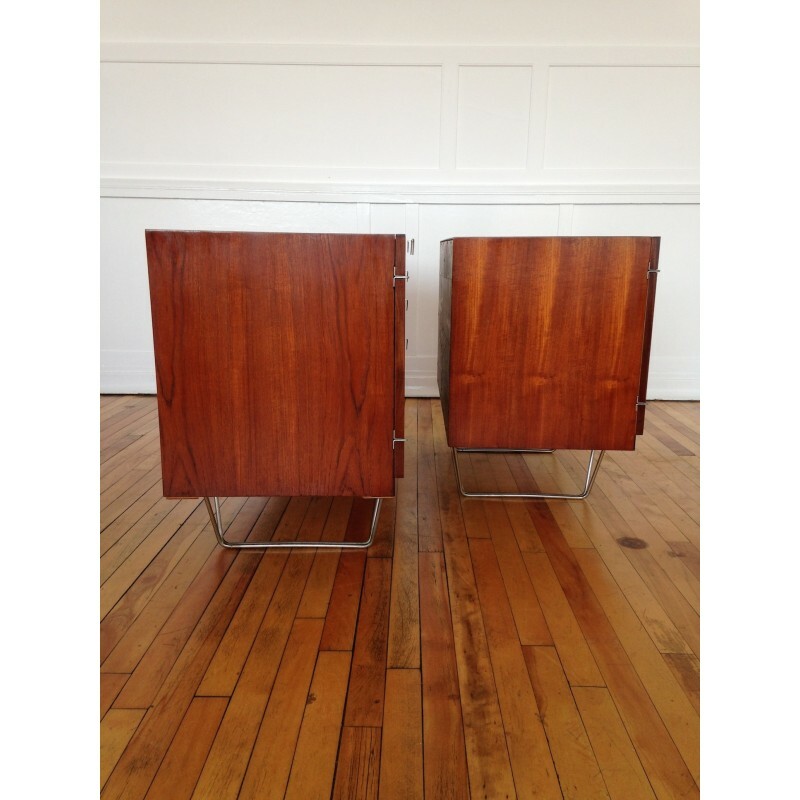 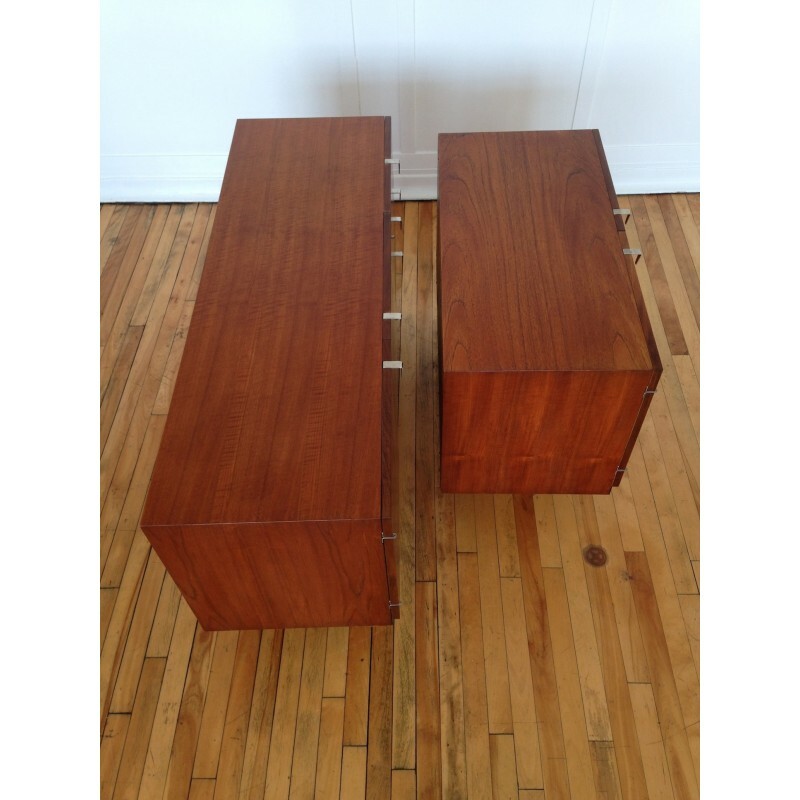 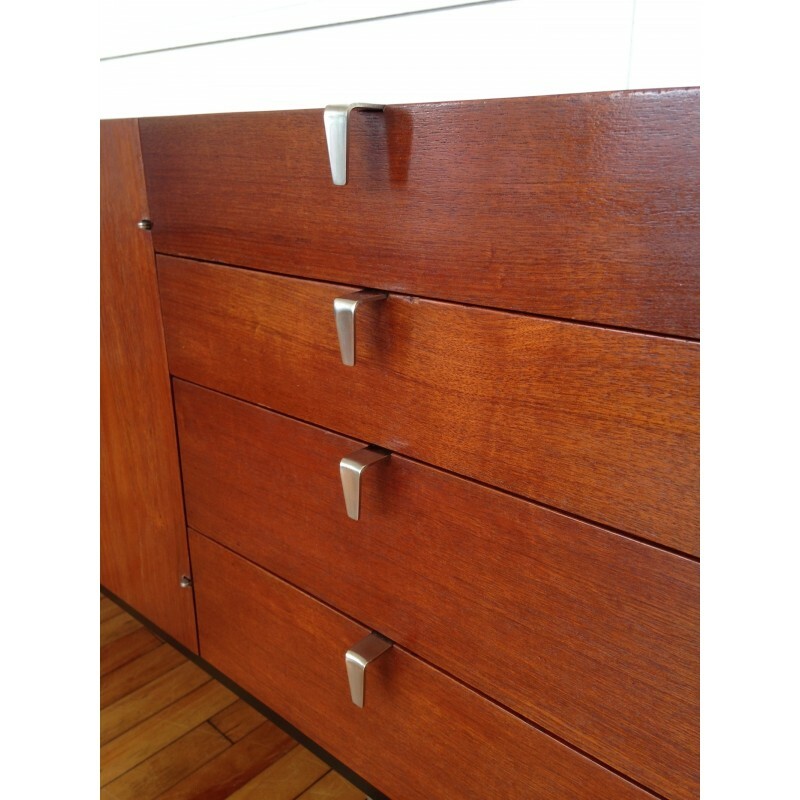 They have a teak veneer on the outside with a contrasting beech veneered interior as can be seen in the photos. 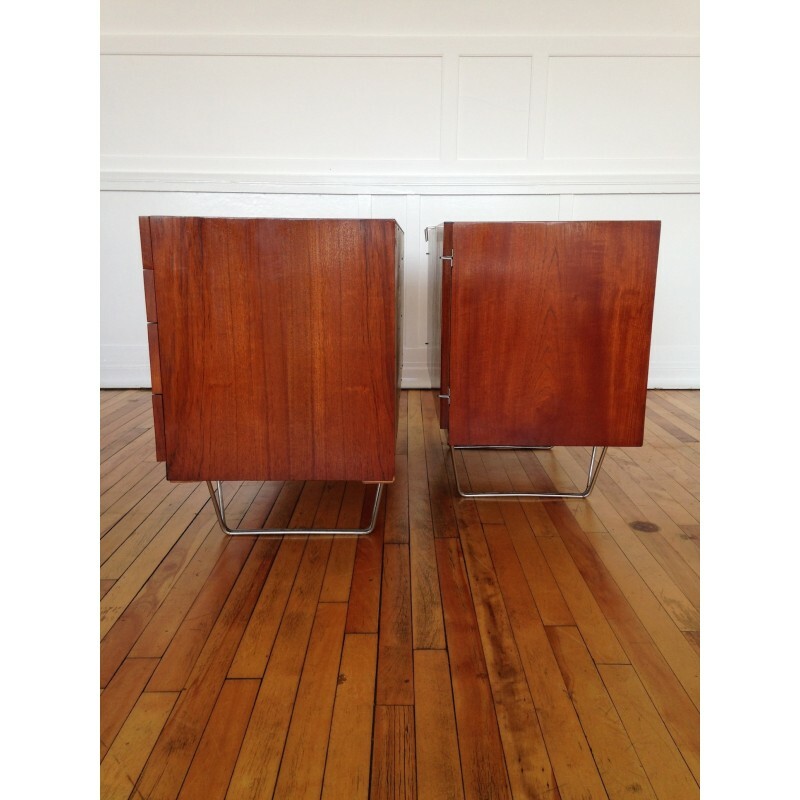 The wood on both pieces has been lightly restored and then re-finished, so are in excellent condition as can be seen in the photos. 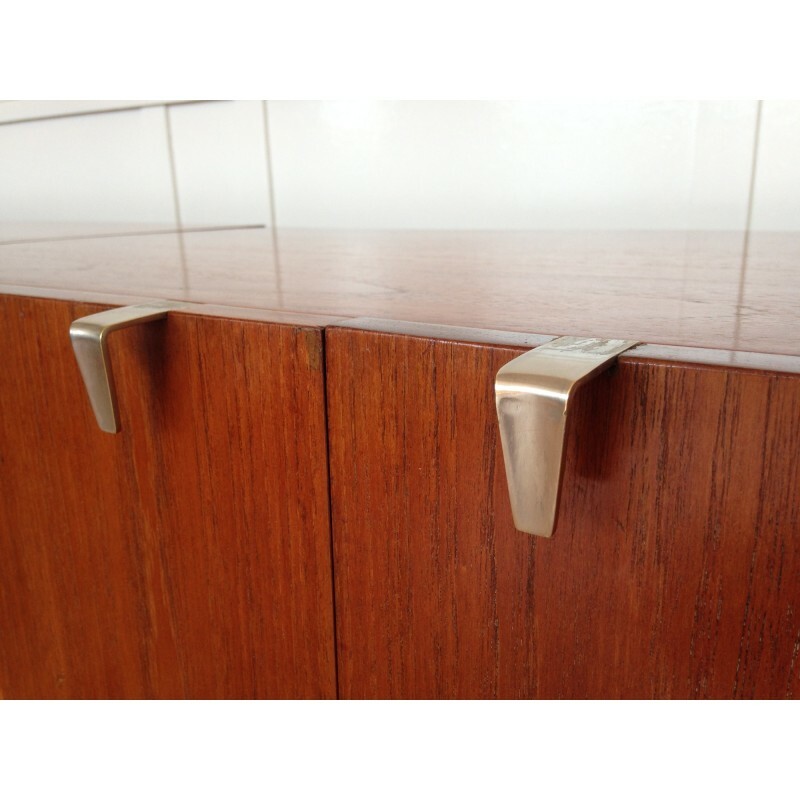 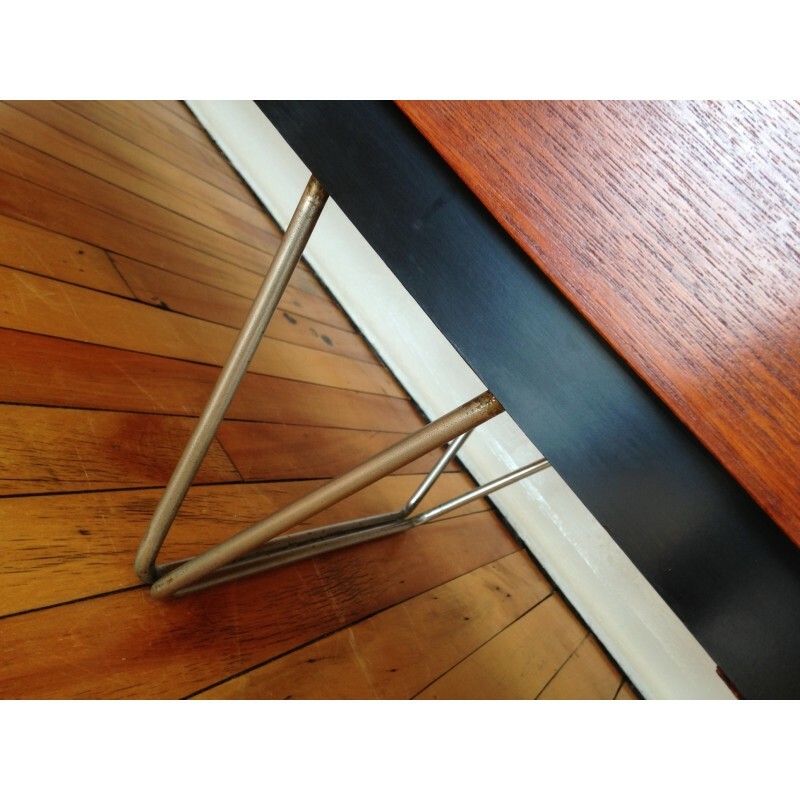 The steel hairpin legs, and each hinge/handle have been unscrewed and carefully cleaned/polished before being re-assembled again. 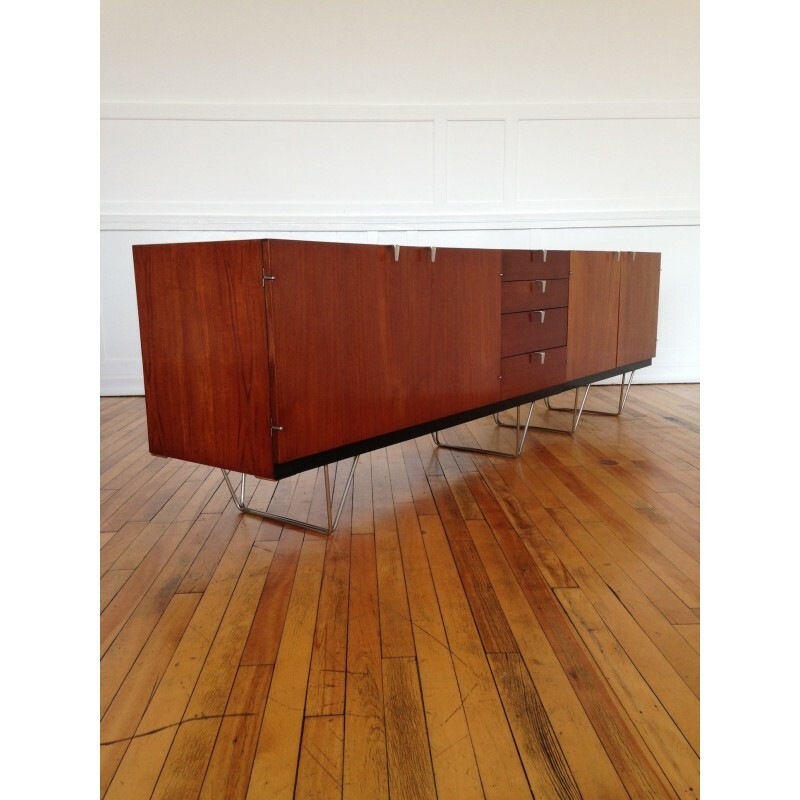 There is some light pitting on the hairpin legs, but nothing that in any way detracts from the overall look of this superb pair of sideboards. 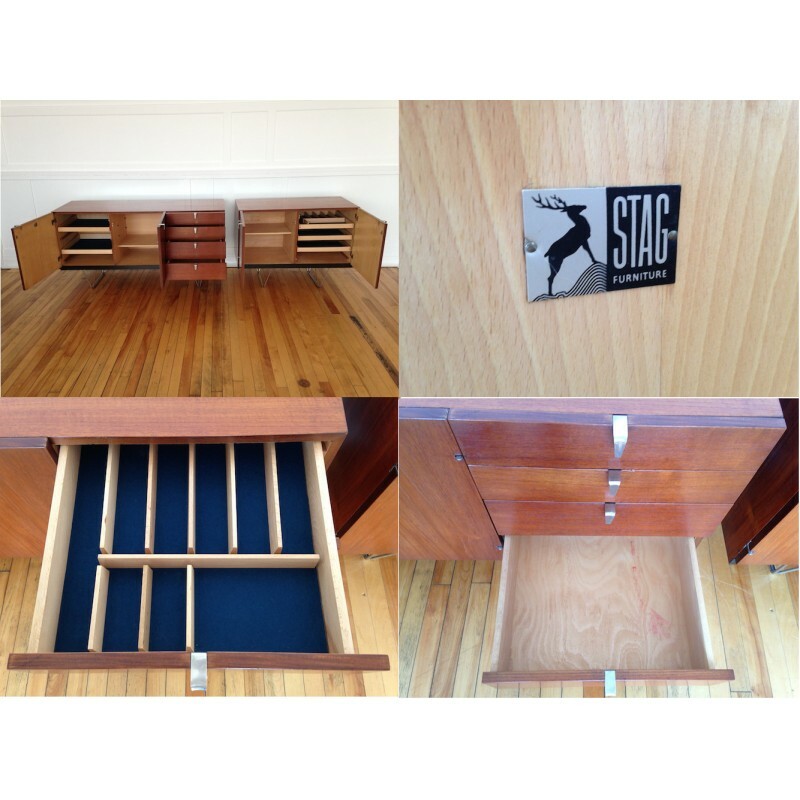 All drawers and shelves are still present, having the original blue felt and removable cutlery tray - just wonderful!